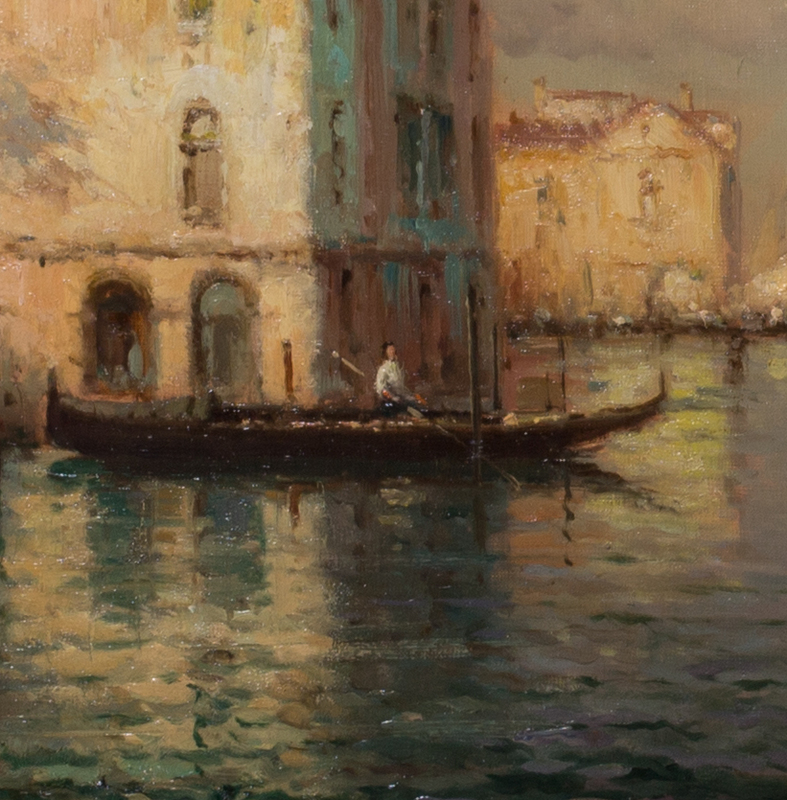 Condition: Oil on canvas, possible surface dirt and varnish discolouration. Good impasto, good paint surface. In a white wood slip and painted carved wood frame with chips and abrasions. Not relined.